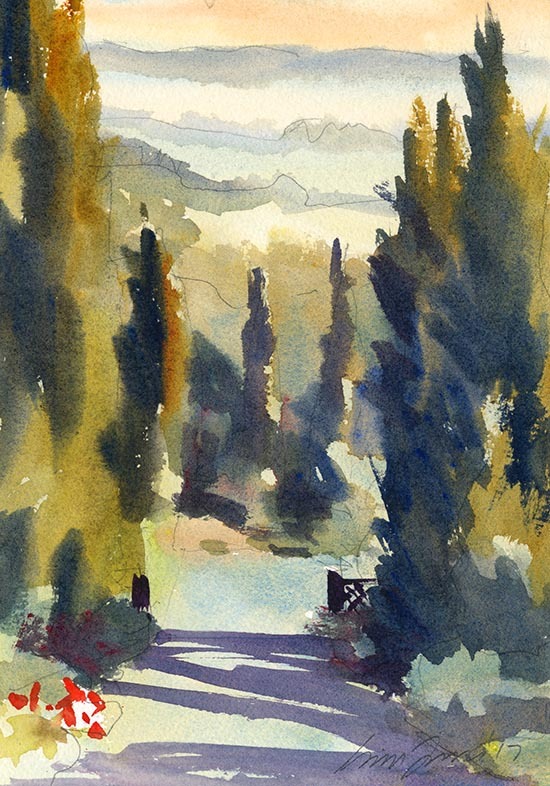 Plein air early morning view from the driveway at Spa Villasanpaolo Hotel, Tuscany. 7.5×11″ Fabriano Uno 140lb. cp.